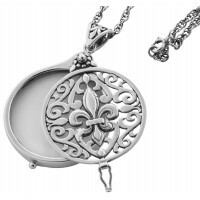 Beautifully crafted, our sterling silver unique magnifying glass pendant is engraved with a Victorian floral design. Give this exquisite hallmarked sterling silver miniature magnifying glass as a gift for her, a present any woman can treasure for a lifetime. 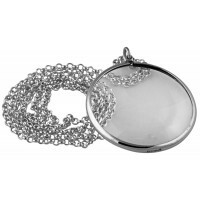 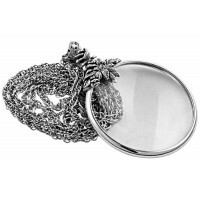 Meticulously made of high quality silver and hand finished to a premium standard, this small unique magnifying glass can be worn as a pendant (chain not supplied). 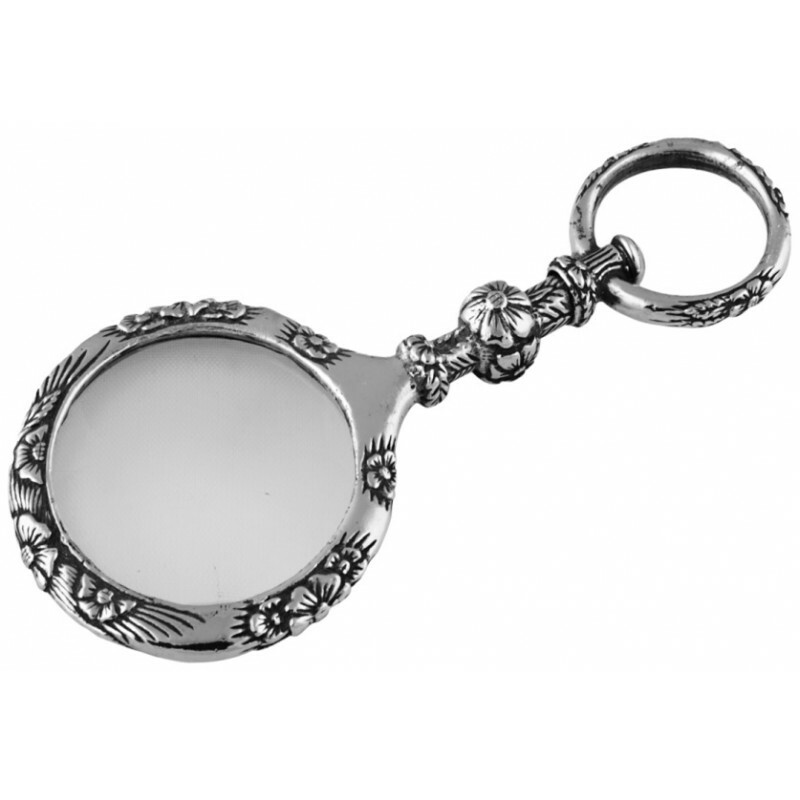 With an actual magnification of x 6, this item will be practical to have to hand too.